Poly Strapping Tape is tensilized polypropylene film coated with acrylic adhesive. 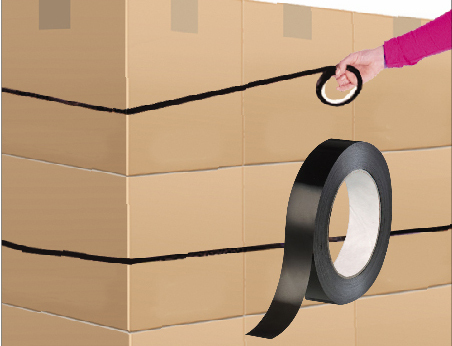 Typical 90 lb/inch width tensile strength is designed for light-duty strapping and bundling on plastic, metallic or fiberboard surfaces. The balance of tensile strength and holding power, even under extreme conditions, provides secure and cost-effective solutions for a wide range of packaging and unitizing applications including bundling, palletizing, repairing, reinforcing and sealing.